The three handsome men of my family. My brother Amarjit (AJ) is on the left, he's in Perth, Australia. My Dad is on the right, and offcourse me in the middle. Nice tie! 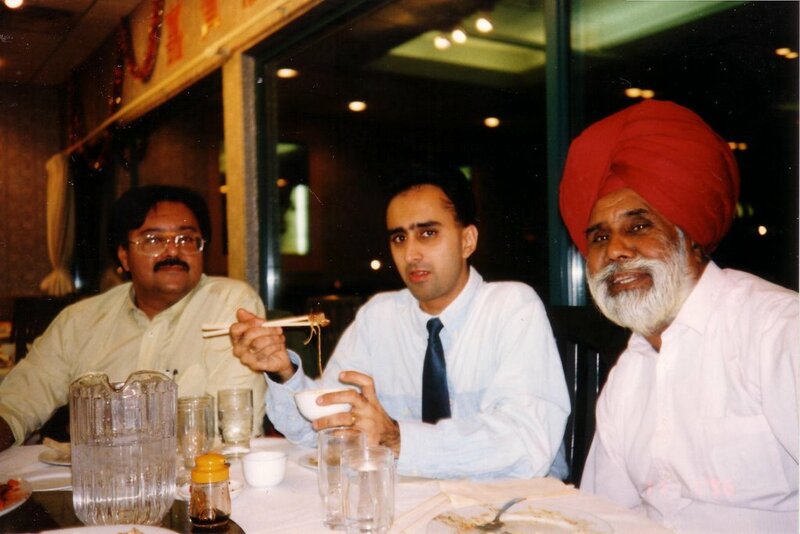 This picture was taken in January of '96 at a Chinese Restaurant (Sam Woo) in Mississauga, Ontario.